I completely agree with Myers in that anyone arguing for a non-Creator based model needs to account for both the origin as well as the development of the diversity of life as we see it today. I've previously written how evolutionary teaching texts and evolutionist both include the concept of abiogenesis—a 50 cent word meaning that life arose spontaneously from non-life—in their limiting the diversity of life we see today to only materialistic causes. For, if a creator is necessary to begin life, then the simplest explanation of life's diversity would be that such a creator created them with that diversity. Of course, Myers, Dawkins, and company would never allow a creator to be considered in their model. 2 They hold that any such appeal is at its base unscientific. But there's a problem here. The view that life arose spontaneously from non-life has never once been observed in all of human history. If science is at its root a study of those things we can observe, then the theory that life can arise from non-life without any intelligent intervention seems to be non-science. But abiogenesis is worse than that; it's anti science. You see, the question has come up before. There was a time where people believed that life could arise spontaneously. People would notice their milk or bread gather mold and they thought that these life forms just popped into existence. However, the French scientist Louis Pasteur performed an extensive series of experiments to heat food products prior to packaging and he showed conclusively that new life doesn't simply pop into existence. He proved that biogenesis (from life comes life) is the scientifically viable theory rather than abiogenesis. Pasteur's results have been confirmed millions of times over. In fact, our modern method of food distribution relies on the fact that new forms of life won't just appear. 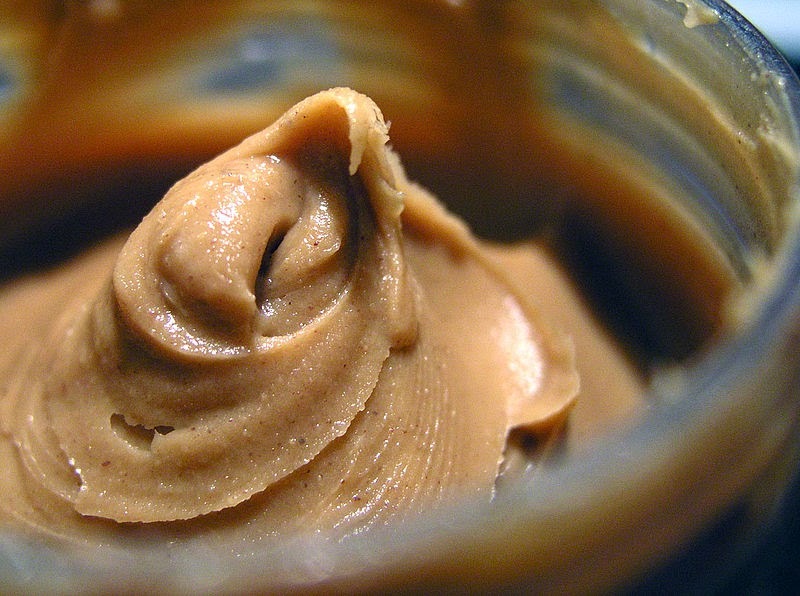 Think of a jar of natural peanut butter. The jar is an open system in which energy and sunlight may pass through. The starting material is organic; it has all the right proteins for life. Heck, peanuts are even the starting point for the plant. Yet, no one expects to find new life in their peanut butter! Science is at its absolute best when one can verify a hypothesis through repeatable testing. The more times one achieves the same results, the stronger the hypothesis becomes. Pasteur's biogenesis is about as strong a finding as science can achieve, so why argue for abiogenesis when no one in the history of humanity has ever observed such and not even one theoretical model of how life could spontaneously arise exists? Simply, it's because the only other explanation of life is that it came from a creator. Therefore, those that trumpet science above all the loudest seem to be the most willing to dump Pasteur's science when it doesn't fit their model. Doesn't that make them anti-science? 1. Myers, PZ. "15 Misconceptions about Evolution." Pharyngula. ScienceBlogs LLC., 20 Feb. 2008. Web. 18 Sept. 2014. http://scienceblogs.com/pharyngula/2008/02/20/15-misconceptions-about-evolut/. 2. In his book, The Blind Watchmaker, Dawkins writes, "The Darwinian theory is in principle capable of explaining life. No other theory that has ever been suggested is in principle capable of explaining life." Dawkins, Richard. The Blind Watchmaker: Why the Evidence of Evolution Reveals a Universe without Design. New York, N.Y: W.W. Norton, 1987. Print. 288. I see what you mean when you say evolution "flows from" (my italics) the origin of life. Still, they really are two separate disciplines despite the connection. One is how about life emerged (abiogensis), and the other is about how that life diversifies and propagates (evolution). In the meantime, nothing points to a creator. Everything points to natural processes. You can't say "Well, we don't know how life emerged so God musta done it" simply because scientists don't know (yet). There have been countless times in history where we didn't know something and then we did. Nobody living during the time of Jesus had a clue about the germ theory of disease. Now we do. Just as we learned that "demons" don't cause disease, we will one day come to learn that no "god" caused us into existence. That we don't know NOW how life began doesn't give anyone intellectual license to say that life has a supernatural cause due to a creative moment by a whimsical Omniscient Being. Relax. So we don't know right now what caused life to emerge. That's just the way it is. We'll understand some day. Maybe not in our lifetimes but it's likely to happen in the next fifty years or so. In the meantime, God-of-the-gaps arguments aren't arguments from the point of evidence. They're arguments from the point of faith and belief. That's not a persuasive rhetorical tactic for the plain reason that reality is preferable to believing in things simply because you want these things to be true (such as the common belief that we each have an ethereal "soul", for example). Knowledge is more powerful than faith, and where knowledge is lacking faith and belief should never rush in to the fill the emptiness. It's intellectually feeble to do so. And to you, Rodd, I read your piece. I don't know what your problem is but the math has been done. The universe is roughly close to 14 billions years old, Earth is about 4.5 billion years old, and life emerged about 3.8 billion years ago. Thanks for your comments, Barry. However, i'm going to object to your assumption. If we don't know, you can't say "nature musta done it." That's what I would call a "science of the gaps" argument. If we don't know, we don't know. We can, however, look at the odds of life being assembled via chance and the laws of physics and chemistry. They really don't look plausible at all (see http://apologetics-notes.comereason.org/2015/05/the-odds-against-natural-account-of.html for documentation here.) So just as a rational person may not know how one man was dealt five perfect bridge hands in a row but still infer cheating, so a rational person cal look at the complexity required for life a infer an intelligence. There's no problem for making naturalism the likely default assumption for something we don't yet understand. Why? Because in EVERY case of trying to comprehend and figure out something about the world and the universe, science wins. It always has. There are countless examples where science has pushed back religion (for example, contrary to early beliefs, Earth is not the center of the universe). In no occasion has religion ever usurped science. In no instance has anyone ever had the ability to say, "Yep, there it is! Science got xyz wrong! The explanation is a supernatural one." That has never happened and, I safely predict, it never will because there's no evidence for a supernatural "realm". But give it a shot, if you want. Give me an instance where a supernatural explanation has righted a scientific wrong. Odds, shmods. It happened. Life DID emerge when it did and that's that. The only thing we don't understand is HOW life emerged—and there is zip evidence that it was due to some supernatural intervention. Evidence is tying a palm print on the rifle to Oswald. Evidence is collecting DNA from a crime scene and connecting it to a suspect. You? You got nuthin' to link to. All you have are unsubstantiated beliefs and assertions. Scientists have no problem with saying "I don't know." That kind of humility is something religious people don't have. I don't have a problem with you combining (to some extent) abiognesis and evolution except to say, again, that understanding how life propagates, how genes get into the next generation, why the coats of mice can change color due to selective pressures, why, when you look in the mirror, you see that you resemble your parents, and so on, all these things constitute a separate issue (evolution) from how life emerged. The only problem I do have with you (or anyone) is when a supernatural assertion is made with zero evidence to back it up. There is nothing "slippery" about defining evolution. Here, this works: Evolution is the change in allele frequency (inheritable traits) in a population over generations. "It seems that Dawkins is lumping the 'explanation for life' with evolution." No, he's simply saying that the emergence of life got started somehow and that certain conditions had to be met first before it could happen. We don't know what these conditions are. Nobody does. But keep in mind this fact: while Earth is the only place we know of so far where life exists, some of the common ingredients for life (carbon, for example) exist in abundance elsewhere in the universe. That's an excellent clue to realizing that were probably not alone. The immensity of the universe is astounding. Look up Lanikea. Look at where we are in this vast web of galaxies. If Earth disappeared tomorrow, the universe wouldn't even notice that it was gone. Yes, that's how insignificant Earth is in—it's cliché time!—the grand scheme of things. And yet pitiful, feeble humans have invented a number of competing death cults (Christianity is one of the main ones) to "explain" why humans exist. Ah, the human comedy. We can be hilarious sometimes! "In no occasion has religion ever usurped science. In no instance has anyone ever had the ability to say, 'Yep, there it is! Science got xyz wrong! The explanation is a supernatural one.' "
That's an easy one. Look at eugenics. The Christians were right all along. Also look at the religious belief that the universe had a beginning. RE: "In no occasion has religion ever usurped science. In no instance has anyone ever had the ability to say, 'Yep, there it is! Science got xyz wrong! The explanation is a supernatural one.' "
Lenny responded: "That's an easy one. Look at eugenics. The Christians were right all along." Eugenics is a moral issue, not a scientific issue.